Contrary to popular belief, the 21st century journalist isn’t all that different to the hacks of days gone by. The skills required today are broadly similar to what was needed 50 years ago – they must have meticulous attention to detail, leave no stone unturned as they strive to unravel the truth behind a story. And above all else, they must be ethically-inclined…in theory, at least. But the tools of the trade today are very different. Out is the payphone and little black book of contacts, and in is the Twitter account, smartphone and other gadgets that can transform a simple hack into an editor, reporter, cameraman, photographer…and whatever else may be required to submit a story. And in a week it was revealed that Android has almost half of the total smartphone market sewn up, here’s a look at a handful of Android apps that can help journalists harness the power of their pocket rocket to get a story from the streets onto the Web. Any self-respecting hack will require easy, instant access to a recording device. Tape-a-Talk is a simple, but pretty good quality voice recorder. You can set the app to record high quality (.wav/pcm) and low quality (3gp) recordings, and it will let you pause recordings too (for .wav files), something that many of the basic recorders don’t allow. And long-clicking on a recorded file gives you the option of sending, renaming or deleting the file. You can also set the sample rate (8-44khz) and sample format (8/16 bit). The basic version of Tape-a-Talk is free, but you can upgrade to a pro version for about £3.50, which has additional features such as fast-forward/rewind recordings, and you can also splice recordings too. There are countless other simple audio recording apps too, such as Voice Recorder and VoiceTask, the latter of which is pretty good for easy emailing of recordings. Whilst the likes of Tape-a-Talk are great for recording interviews in person, they won’t allow you to record telephone conversations. vRecorder can help you automatically record and save phone calls, and for a free app it’s pretty good, but the quality of the recordings could be improved. 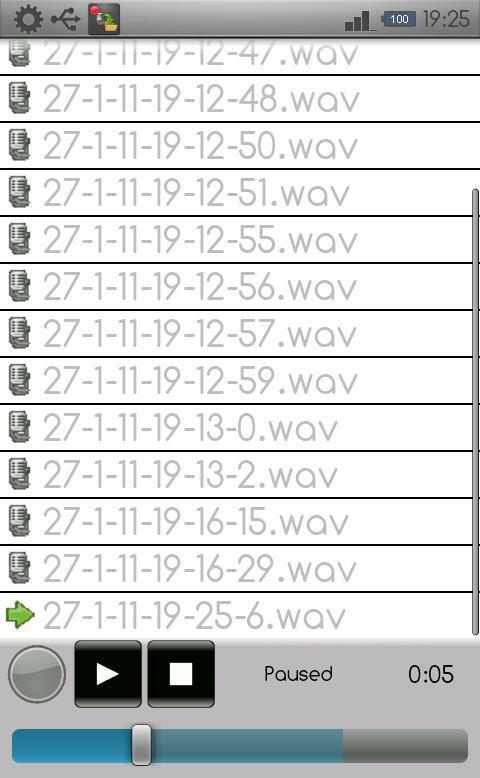 vRecorder can be used as a standard audio recorder too. Okay, the efficacy and perhaps legality of this one will depend very much on where you live. 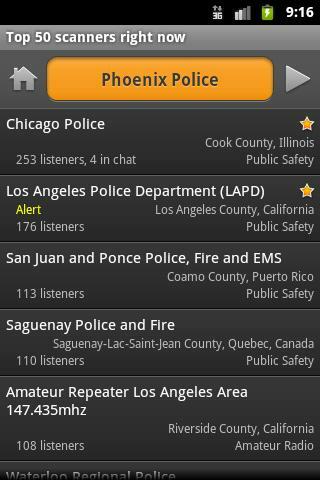 Scanner Radio is a free app that lets you listen to police, fire brigade and weather broadcasts around the world. You can search by location too, so if you want to know if there are any breaking stories in your area, you can be on the scene in no time. You can even configure alerts so that you know when many people are listening to a one particular scanner, which may suggest that something big is happening. The audio is provided by real scanner radios around the world. It goes without saying that you should already have the Twitter app installed on your Android device, that’s a given, but there are so many limitations with it from a journalistic perspective. You really need to be able to monitor multiple Twitter feeds from a range of sources – perhaps you’re anticipating a story and you want to keep an eye on several people. TweetDeck is perfect for this, letting you construct columns of tweet streams so that you can monitor specific criteria relevant to a story. But TweetDeck isn’t just about monitoring tweets, you can also track Facebook, FourSquare and Buzz too. It’s probably worth checking out HootSuite as a good alternative, it is an equally excellent social monitoring tool for journalists. Meanwile, here’s a video of TweetDeck in action. Not all of your potential leads live in the Twittersphere. Trusted sources spanning multiple industries and areas of expertise might simply blog, which is where RSS feeds come in handy. 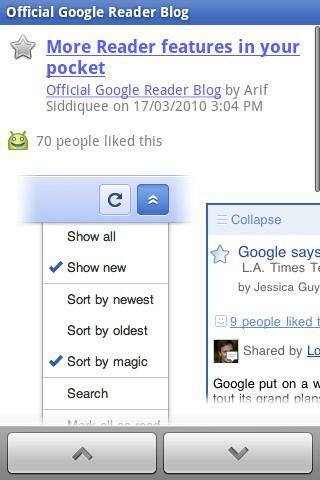 Given that Android automatically stays in sync with all your Google products, Google Reader makes all the same RSS subscriptions available across both your computer and mobile devices. Journalists report news, which means they also have to keep tabs on news. Read It Later is a neat little browser plugin, which lets you bookmark content to read later, including offline. So how does it work? Well, whenever you encounter an article or Web page that you’d like to read at a later point, you simply save it to your ‘Read it Later’ list, which is synced to a single, centralized account, meaning you can read it anywhere and on any device. And if you’ve started reading an article, this app even remembers your scroll position so you can commence reading from the correct point. Whether you’re a budding freelancer, or a seasoned hack, there are many circumstances that may require impromptu photos to accompany a story. Sure, a digital SLR is what you’d ideally have, but failing that, an Android handset armed with an 8 megapixel camera alongside the Camera360 app can work pretty well too. The HDR effect is particularly good on this app. Qik is often cited as one of the best tools for capturing and broadcasting video directly to a blog or an external video streaming website, and it is good – but Flixwagon is a very good tool as well. Flixwagon lets you broadcast live video online, and you can also choose to email or SMS the video to a private group too. This is perfect for reporting from an event, meaning you can easily transmit footage to a third party, who can then edit and package it into a main feature article. It’s a great collaborative tool. 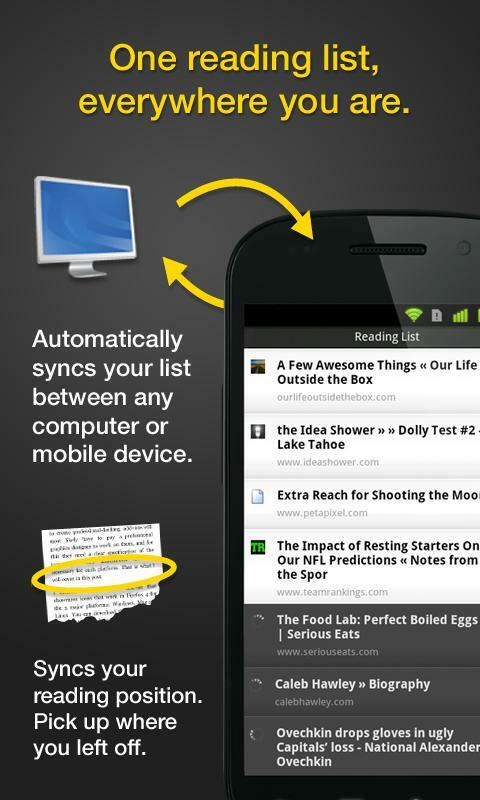 As with Qik, it’s a battery drainer, so pack some spare juice for your Android device. If you’re on the move, and you find yourself with some spare time to start writing a story, ThinkFree Office Mobile is a fantastic app that’s compatible with Microsoft Office and Google Docs, meaning you can create new documents on your mobile, and open them elsewhere. You can also open, view and edit documents people have sent you by email. Whilst you probably wouldn’t want to construct War And Peace from your Android handset, it’s definitely good to have the option to bash out a few hundred words when you have a spare moment. 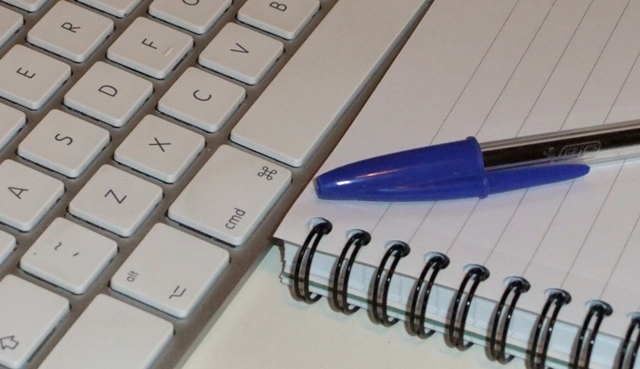 Evernote is a must-have app for any aspiring journalist. It’s really best suited for keeping short notes, reminders, to-do/task lists, whilst you can also add text, photos and audio directly into the app and access it from anywhere else. 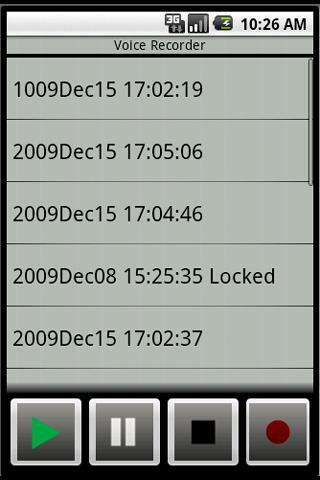 Even if you’re not a budding journo, this is one of the most essential apps on Android Market. Similar to Evernote, Dropbox is another one of those apps that can be filed under ‘indispensable’ for mobile journalists. 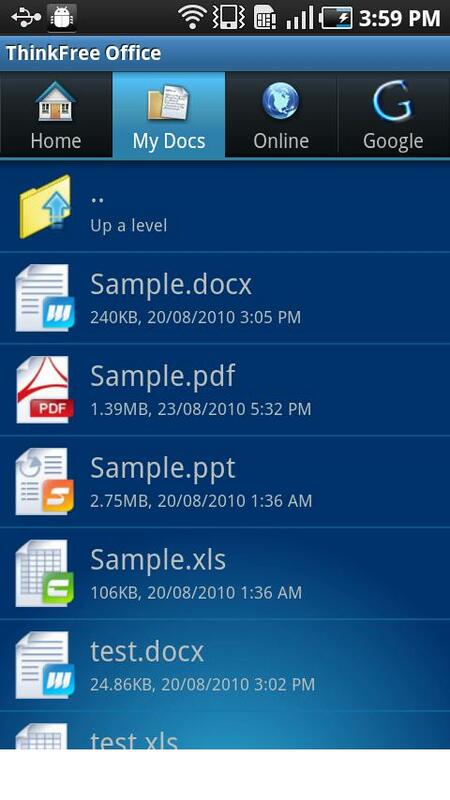 Download it for your computer, and install the Android app on your smartphone/tablet and you essentially have a cloud-based hard-drive at your disposal. It’s also a great way of transferring large files to third-parties. My Tracks may have been designed as a health and fitness app, but it can actually be put to good use by journalists too. If you’re covering a story all across town, and you need to retrace your steps or fill in the gaps for your article, then this app will show you the path you took, as well as the time, speed, distance, and elevation. All this data can be viewed live, or you can access it any time after. In short, it saves you having to write down and remember street names. This really is a very useful app for journos on the move. Sometimes your smartphone or tablet simply won’t do, and you need access to a computer. PdaNet is an app that lets you use the Internet capability of your portable device to hook your laptop up to the Web. PdaNet works across PCs and Macs, and it upports USB and Bluetooth connectivity, though depending on your device you may only be able to gain access via USB.